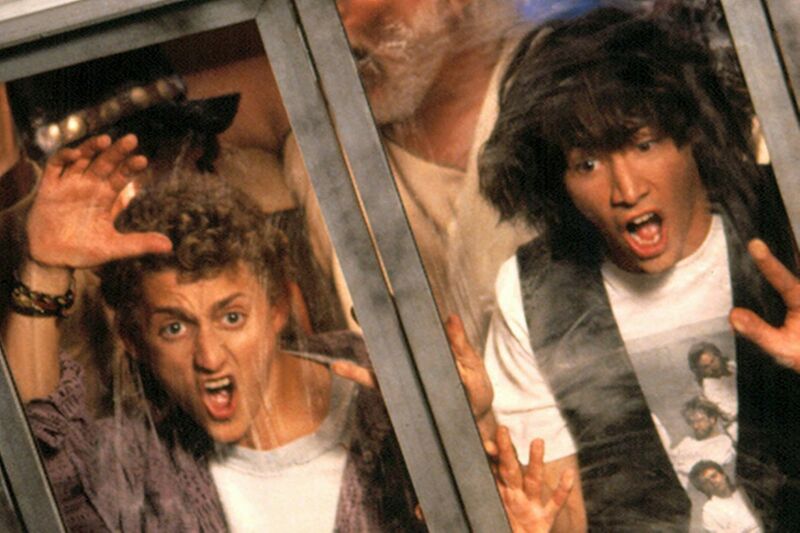 One of the most exotic and amazing concepts ever used in science fiction is Time Travel. The ability to get into a machine, pull a lever, and travel into the distant future, or even the distant past, is enticing. 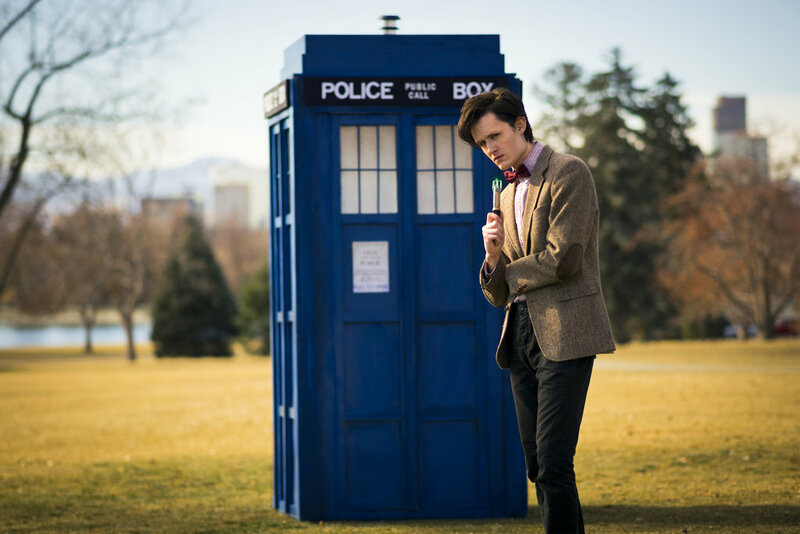 Whole television shows, books, and films have all relied on Time Travel as a plot. Many of these culminated in all sorts of complex paradoxes, all for the sake of drama! The ability to time travel would open up so many possibilities to learn and to observe, both the past and the future! However, with it comes a whole host of dangerous problems. Among these are some of the most popular and most discussed paradoxes, the grandfather paradox. "The name comes from the paradox's common description: a person travels to the past and kills their own grandfather before the conception of their father or mother, which prevents the time traveler's existence" (Wikipedia article of the same name). 34 And when separated, man cannot receive a fullness of joy. Just looking at this information, if a person were to invent time travel some time in the future (distant or near, doesn't matter), just sending something or someone forward or backward in time would lead to dire and disastrous consequences. Imagine, if you will, a man sitting in his time machine and setting the dial to take him back to, say, the year 1985 (I wonder where I got that year, lol). The machine with the time traveler dissolves from our time only to appear in 1985. Seems like it would be awesome, right? Now, the material with which the time machine and the time traveler are made of, every particle - electron, proton, neutron, quark, or vibrating strand of energy (for those who subscribe to string theory) - already exists in 1985. Hopefully I don't need to give a heavy discourse on the "circle of life" (thank you Disney and Elton John). 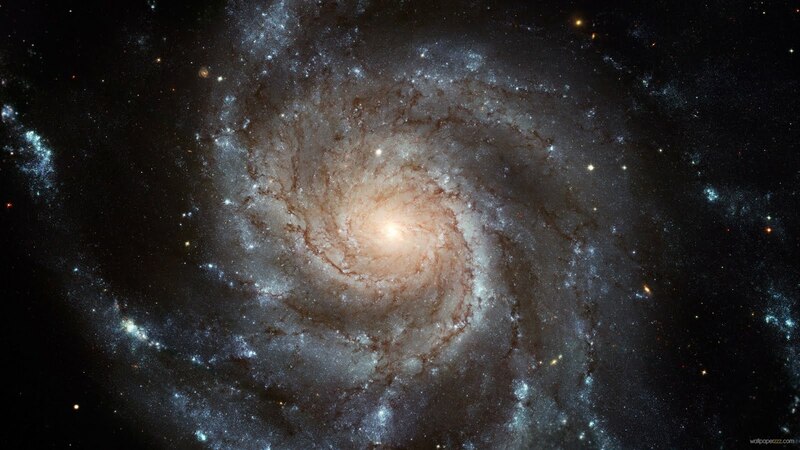 I will say that we should already know that every particle with which everything around us is made already existed before it took the form it is currently in. Every tree is made of carbon, oxygen, and water. That water came from the soil. That soil contains nutrients that came from dead and decayed biomatter, such as animals and other plants. Other animals come along and eat those plants, and in many cases, something else comes along and eats those animals and so on. So, this time traveler and his machine are both composed of particles and elements that have existed somewhere and will continue to exist somewhere for the rest of time and for all eternity. Therefore, the instant the time traveler and the time machine materialize in 1985, the elements with which the pair are made instantly annihilate, vaporize, or disappear because those materials automatically recognize that they already exist somewhere else! The next thing I would like to add to the discussion deals with "cause and effect." When the paradoxes were listed above, many of them dealt with the results of cause and effect. However, what we sometimes fail to realize is the magnitude of the issue. In the 1996 film "The Time Machine," with Guy Pearce as Alexander Hartdegen, the protagonist loses his fiance to an accident, and thus builds the time machine to go back and save her. He succeeds at first, only to find out that she dies another way. The viewer is left wondering at some point how many times Professor Hartdegen travels back in time to try and save her only to watch her death over and over again in as many different ways. It's not until later on in the film that Hartdegen has a conversation with a person in the future and we learn that the only reason he built the time machine was because Emma (his fiance) dies. If she doesn't die, he doesn't build the machine. If he doesn't build the time machine, he never goes back to save her. Thus, the paradox. In most cases I can think of, the future invention of the first time machine would be followed by the use of said machine by the first time traveler to go back to a specific time period for the sake of doing something specific. Whether it's to witness the destruction of the dinosaurs, to watch the parting of the Red Sea, be present at the birth of Jesus Christ, attend the signing of the Declaration of Independence, or to find out who actually shot President Kennedy, there is always a reason for the time travel. In some cases, a person might travel back into one's own past in order to inspire greatness (as in the case of Back to the Future II, where Marty McFly takes a copy of a sports almanac from 2015 back to himself in 1985, but accidentally loses it to Biff in 1955), or to correct a big mistake that led to a regret. In cases such as these, once the deed has been done and the source of regret taken care of, the person no longer has the reason to travel into the past to begin with. Not to mention the moral and ethical implications of never having learned from the action at all! The 1999 film Galaxy Quest contains a plot device called the Omega 13. At the end of the film we discover that the device travels the entire universe backwards 13 seconds. The character Tawny Madison (played by Sigourney Weaver) asks, "What good would it do to only travel back 13 seconds?" Commander Peter Quincy Taggart (played by Tim Allen) responds, "It would be just enough time to redeem a single mistake." Sure, the Omega 13 plot device plays heavily into the finale of the film, but redeeming a mistake equates to never getting a chance to learn from it. Part of who we are as a people, and individually as a person, is the sum total of every experience, decision, sight, sound, touch, feeling, emotion, and memory that we have ever had. If we travel back into time to change an event on purpose, then we never have the opportunity to experience that event (whether for good or for bad) and we change the very essence of who we are, or were, or used to be, or could have become (temporal mechanics gives me a headache). The result being, we never give ourselves a chance to actually learn the difference between good and evil, or experience joy and pain, or any of the other things that bring us closer to becoming who we should ultimately be becoming. Even more disastrous would be the time traveler's desire to not change something from their own past but to actually change the past for someone else. In this case, they would not only be affecting their own free will or moral agency, but also affecting the agency of others... And agency is a universal law of existence! Not to get overly religious here, but agency is not free, it was paid for by the blood and body of the Savior of the world, Jesus Christ. We may not be able to control the world around us, but it will always be in our power to control how we react to it. Traveling through time to change a decision, or to "redeem a single mistake," removes that power. In conclusion, time travel may be a wonderful plot device for science fiction films and stories, but it will never be possible, and cannot be possible! As fantastic as it would be to witness some of the world's greatest events, we will be stuck reading about them in our history books, and left to make history ourselves. 1. The Time Machine (1996), with Alexander Hartdegen played by Guy Pearce, in the Time Machine. 2. 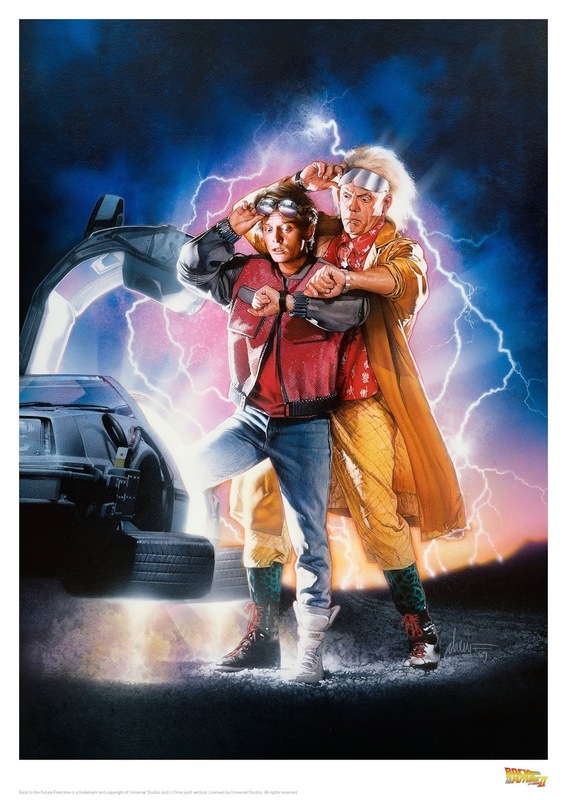 Back to the Future II (1989) with Michael J. Fox and Christopher Lloyd. 3. Doctor Who (2011) with Matt Smith as The Doctor, posing with the TARDIS. 4. Bill & Ted's Excellent Adventure (1989), with Alex Winter & Keanu Reeves, movie scene. 5. 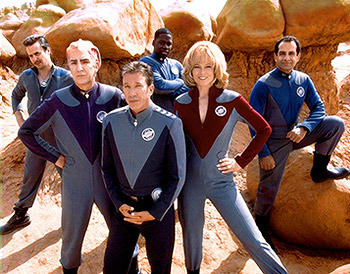 Galaxy Quest (1999), the intrepid crew of the N.S.E.A. Protector.